My journey with dóTERRA Essential Oils started earlier this year, but I feel like I’ve had so many positive experiences in this short period of time, that I cannot wait any longer!! I’ve got to start sharing them with you!! First, a bit of background. Those of you who Stephen King would call my ‘Constant Readers’, know this story already. But for those of you who might be new to my message, a brief introduction is in order. dōTERRA is a multi-billion dollar essential oil manufacturer, based in Salt Lake City, UT, whose oils are the most pure, naturally distilled oils in the world, and their product development, customer service and wellness advocacy is second to none. 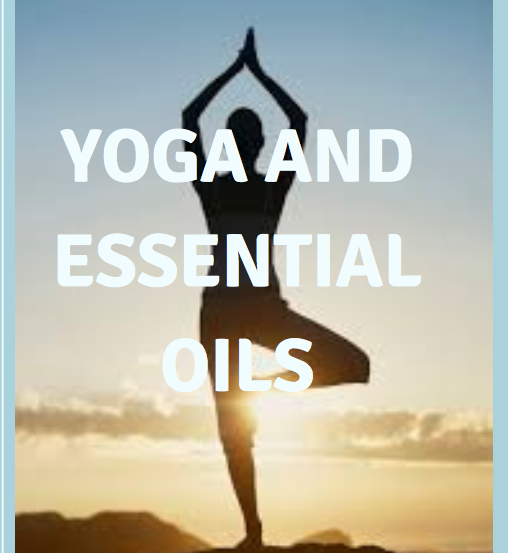 My first exposure was at an essential oil and yoga class, which was something I felt compelled to be part of, even though there were multiple scheduling challenges to overcome that day. The positive vibe of the teacher, along with the uplifting spirit of the room, drew me in, and I was eager to learn more about how to become a dōTERRA wellness advocate. I did a ton of research on dōTERRA before signing up. Everything I read confirmed it was the right company for me. From their oils being 100% pure and the highest quality available…to the way they treat their growers and advocates! Their oils are carefully extracted from plants by a global network of skilled growers, distillers, and chemists, ensuring an extraordinary degree of quality. They are pure aromatic extracts, contain no artificial ingredients, and are tested to be safe, pure, and free of any contaminants—every batch, every time! The leaders of the company are the best of friends and they mentor everyone in the organization with constant support! Once I decided to move forward, I ordered the Natural Solutions Kit, which made me feel like I was embarking on a journey I had been destined to take. When I received my kit, I was so excited to have my very first experiences with Frankincense, Melaleuca, and some of the wonderful blends that are included in this ensemble. And like most of us would do, I guess I too experimented with oils in all kinds of ways… on myself, on my family, and with my friends. I found that the oils had healing powers which helped relieve headaches, backaches cramps, and congestion. But the first time I ever stepped outside of that box, was in the waiting room of the hospital, where my mother was having surgery. Seated just diagonal from me, was a tough looking middle aged man who was visibly nervous. He was shaking his foot, squirming in his seat, and speaking on the phone in tones that cried out for help. When the man finished his conversation, I offered him a spare pair of earphones, because he had indicated in his telephone conversation, that what he needed was to listen to some music. The man was truly grateful for my offer and seemed content for the moment. But because this distraction was clearly not the solution he needed, I offered to share a sample of my essential oil’s with him. I gave him some rosemary to put under his nose and some lavender to put on the back of his neck. Within 10 minutes I could see a visible difference in his state of mind. I was blown away, not only by the power of the oil’s, but the power of sharing them with a stranger. Over the next hour we had a wonderful conversation, and he ended up buying a bottle of oil from my website. I also gave him a sample of Frankincense to share with his son who was having a tumor removed from his neck. Finally, we exchanged contact information so that I could share additional benefits and information. Shortly after that experience, I had another opportunity to share these oils with my mom, who had just had knee surgery. Once the pain kicked in she was emotional and sad! I shared dōTERRA’s Cheer Blend with her by putting some on the back of her neck, and it really lifted her mood. My daughter was present on one such occasion, and when I administered the Cheer, she was astounded at the immediate change in my mom’s (her grandmother’s) attitude! Whenever I speak with her now, and I can sense that she is depressed, I ask her if she’d “put her oils on yet”…and she usually says no. So I stop our conversation, ask her to do so right away, and it inevitably raises her spirits. She also loves the Deep Blue Rub that has helped to relieve her back and knee pain. My husband also swears by the Deep Blue Rub, to take away muscle and back pain from over-exertion, and one of my girlfriends loves it for taking away pain in her neck. Combine two drops of lavender and two drops of frankincense and apply to the back of the neck. Combine 2 drops of Basil with 2 drops of peppermint and apply to the temples. She tried this and by the next day, the Vertigo was gone. I asked if she thought it helped and she assured me that it did. I have also had a multitude of other experiences with friends using a variety of different oils for different health concerns, all of which seemed to improve the condition, provided you give the oils enough time to work their magic! My latest experience has been with the use of dōTERRA’s vitality pack. This is a combination of three different oral supplements, providing the crucial whole-foods, micronutrients, and cellular support needed over a 24 hour period. These have completely eliminated my bloating and constipation, and I’ve never felt healthier, younger or had more energy! It took a couple months for me to feel the effects, so if you try them, be patient…and I hope you find that they help you as much as they helped me! To learn more about which oils can benefit you personally, download our doTERRA simple guide by clicking HERE! Here’s to Better Living with Oils!